This is a new mini-series for me. To give you some background, it started about 2 years ago and it started small. Lately, we have really been going all out and a few people have asked about the details (how did you do that, what did you do that with, etc) so I decided to write about it. My department is made up of myself, 2 guys, and an intern. We are a very close-knit department (we call each other family) and we work hard but love to have a good time too. We are always messing with each other and giving each other a hard time so we decided “why not mess with each even more on our birthdays?” One of our first pranks was the “Plastic Wrap”. This one is a classic but always a good time. 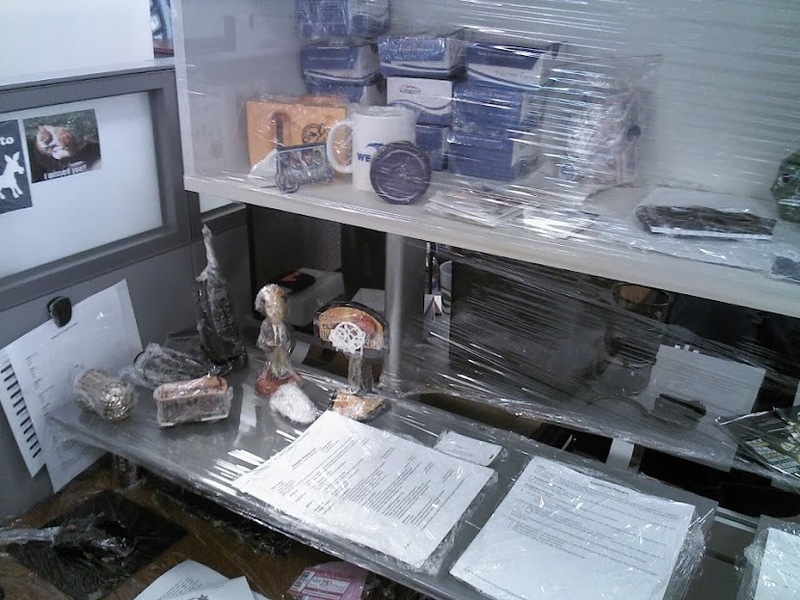 They key to this prank is to make sure you cover every square inch of office/cubicle space with plastic wrap. I mean everything. Pens, notes, business cards, papers, push pins, keyboard, basically if it can be picked up, wrap it! This makes clean-up even harder (and if you are like us, we make the birthday person to all of the clean-up). All in the details, people! To take it to the next level, fill up the space with balloons. 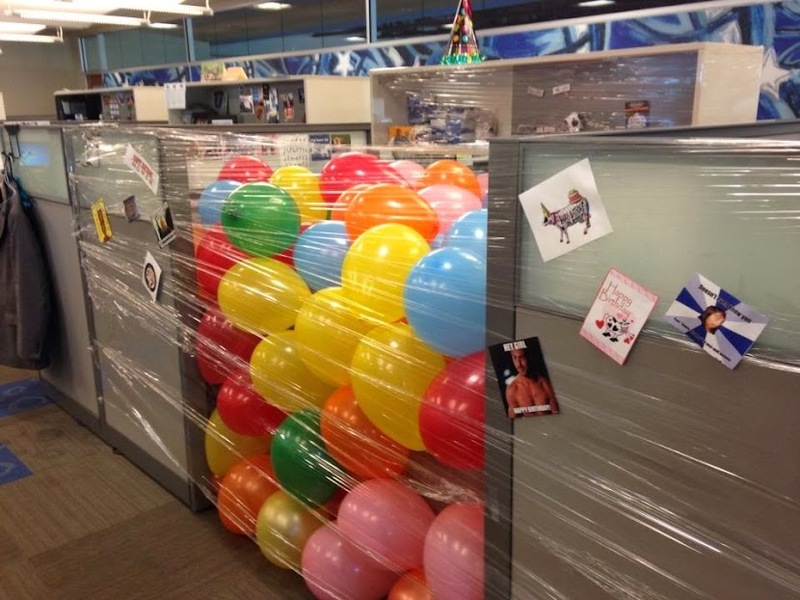 That way, when the birthday boy/girl walks up, they think THAT is the prank…. but we all know once those balloons tumble out, it will reveal what’s really happening in all it’s plasticy glory! If you have someone willing, it’s pretty funny to have someone waiting in the balloons to scare them when they walk up.